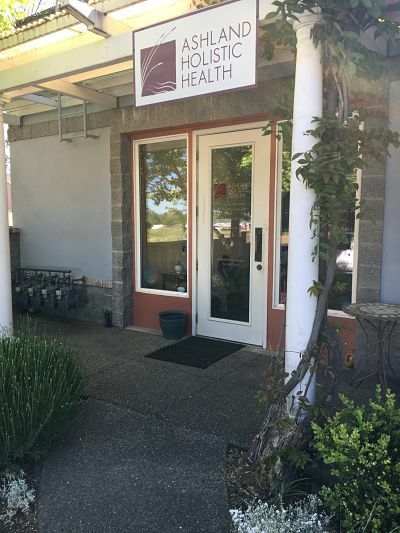 Our Ashland Acupuncture clinic is located in the Railroad District on A Street. We share a parking lot across from ACE Hardware and directly next door to Jones Family Dental. 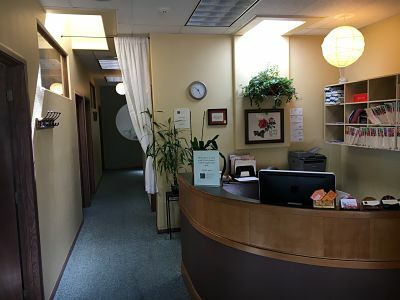 Our office space is relaxing and comfortable – we have several acupuncture rooms and can provide either pre-formulated or custom mixed Chinese herbs. We specialize in pain relief, injury management, acupuncture for fertility, women’s health issues, stress relief and well-being. Read more about our acupuncture treatments. In Ashland, you will be greeted by our welcoming receptionist and then led into a relaxing room for your treatment. You will be seen by either one of our acupuncturists, Jenn Collins or Jenny Riegg. New patient information and forms can be found on our clinic info page. Please feel free to call for information or book online.